We are the original online restaurant equipment company. Before Facebook, before Google, and before Amazon sold kitchen products, ABest was taking orders for restaurant equipment online. ABest has been dealing kitchen equipment in Ohio since 1990, and we took our first online order in 1998. That experience, combined with our expert staff and large inventory, is what sets ABestKitchen apart and enables us to consistently please our customers. Unlike some of our competitors, we are not an internet-only marketing and distribution company. 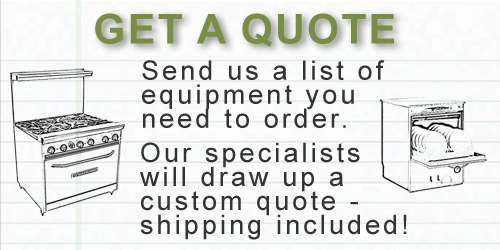 We are a real restaurant equipment company with decades of experience, tons of product knowledge, and genuine expertise to backup and support our customers. Our staff is made up of professionals with years of experience in restaurants and foodservice equipment. When you order through AKitchen.com, our experts are here to back you up. Each order is reviewed by our staff prior to shipment. If you would like to speak to one of our experts, please Contact Us.